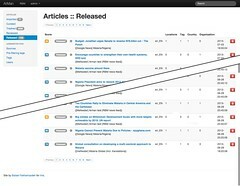 ArMan is a role-based multiple-user RSS reader and article management system to curate news retrieved from an unlimited number of sources into a relevant and properly tagged and sorted collection of articles. 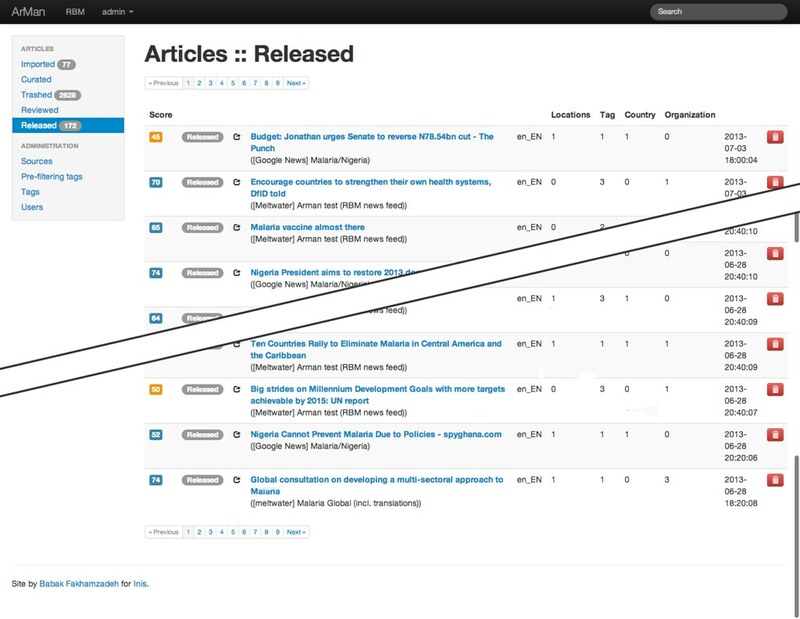 Based on predefined filters, sourced news is automatically tagged and geotagged when possible. ArMan was built for Inis for the Roll Back Malaria initiative.